Artists have always gathered together in their studios, in cafés or other places to share ideas, discuss projects, help and learn from each other. The give and take of sharing often grows into life-long friendships with artists influencing and encouraging each other. 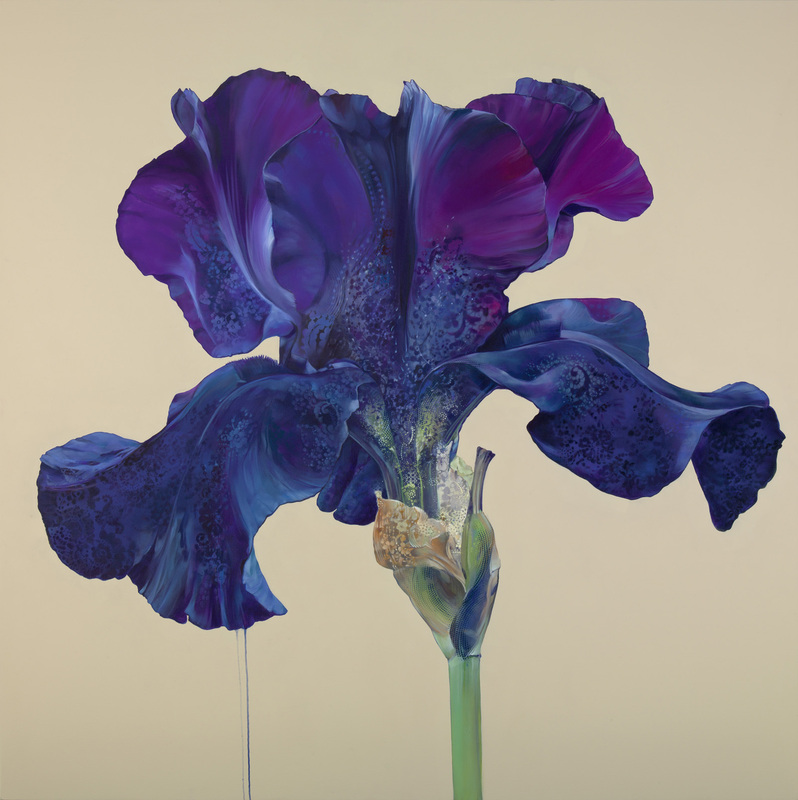 Family members also encourage each other to study and pursue art, but rarely do we see three generations of successful artists working in the same genre. Following Footsteps: Three Generations of Plein Air Gruppe Painters, on view now at The von Liebig Art Center, shows how Charles, Emile and Robert Gruppé are one such example. Of the steady crowds stopping by, many have shared their appreciation for the family historical notes that accompany the artwork and their enthusiasm for the show overall. “I came from Fort Worth, Texas, to see this. I was not disappointed. Just Stunning,” George Everett said after his visit. 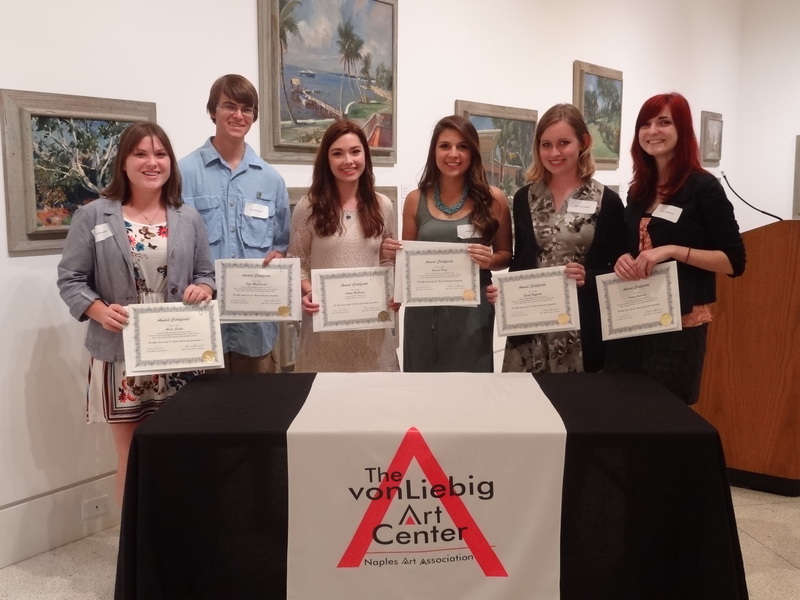 Four of 22 works in their premiere exhibition at the von Liebig Art Center. Following Footsteps features the first public display of twenty-two paintings by Emile Gruppé. Originally owned by Ralph Evinrude and Frances Langford, the artwork in this collection includes several depictions of the yacht, Chanticleer. Emile Gruppé he met and befriended the couple in the late 1950s and was commissioned to paint for them. For some guests, these works brought back memories. “My father was a pianist in Milwaukee. He was great friends with Ralph Evinrude. One evening my parents attended a party on the Chanticleer, and I went with them. I was nice and snug in one of the state rooms,” Shelly Sheridan Miller of Alexandria, VA remarked. Many guests know the Gruppé family by their vast array of northeastern land and seascapes. Kathleen and Bill Butler of Washington D.C. said that’s what drew them, but they left knowing the artists’ work a little better. 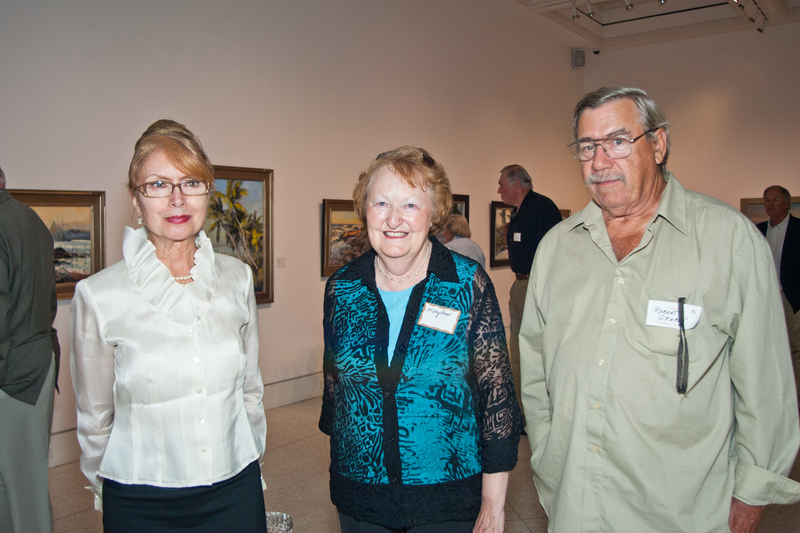 “My husband and I are quite familiar with the three generations of Gruppés, predominately their New England paintings. 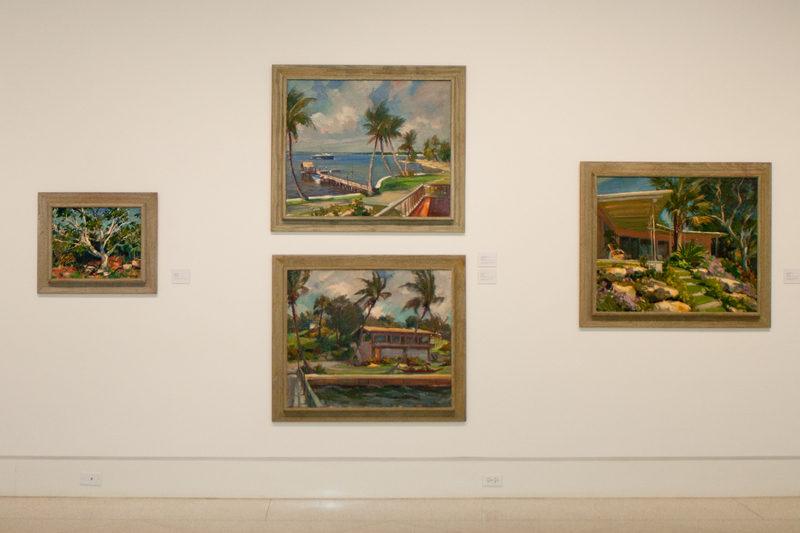 I was unaware of their paintings of Florida and Bahamas,” Kathleen Butler said. Following Footsteps artwork came to the Naples Art Association from Robert Gruppé and his wife Jennifer with additional paintings loaned by Barbara McDonald of Naples and a painting donation from Stella and Peter Thomas, also of Naples. 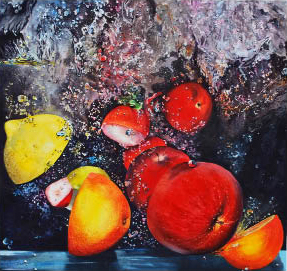 Robert and Jennifer Gruppé spend much of their time in Naples and also live in Gloucester, Massachusetts where they operate the Gruppé Gallery in the Rocky Neck Art Colony. The gallery was formerly Emile Gruppé’s studio. Each of the three Gruppé’s worked in the studio at one time or another. 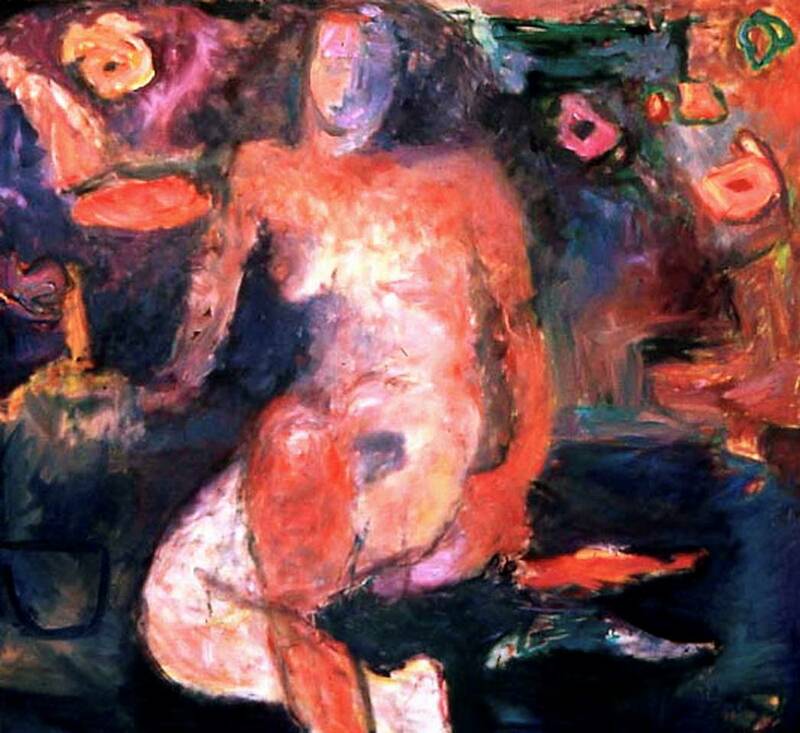 Many Naples residents who have commented on the show mention that they own a Gruppe painting or they used to watch one of the family members as they painted. “Just loved this exhibit. I remember seeing Emile painting on the beach when I came to Naples as a newlywed in 1962,” said Linda Condon of Naples. Following Footsteps is exhibited at The von Liebig Art Center through Apr. 13, 2013. Admission is free during regular art center hours, Monday-Saturday, 10 a.m. to 4 p.m. 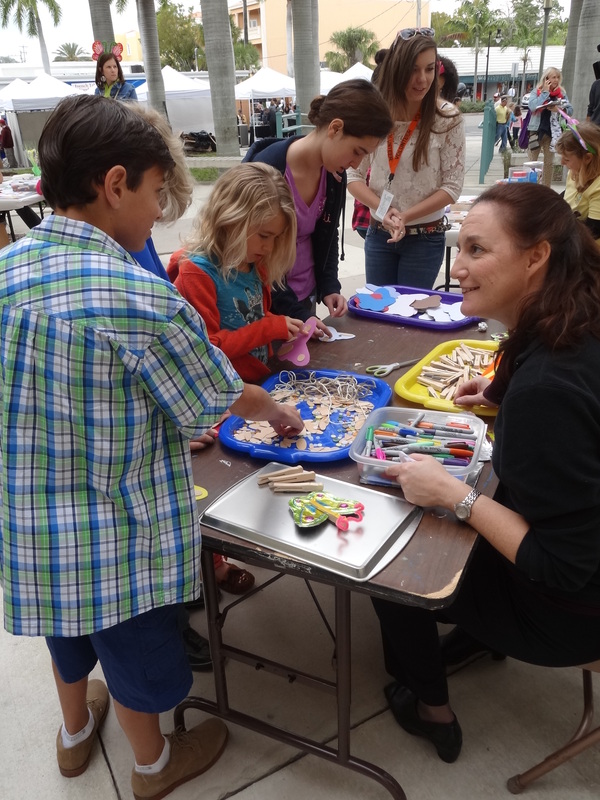 Donations are accepted to support educational programming produced by the nonprofit Naples Art Association. 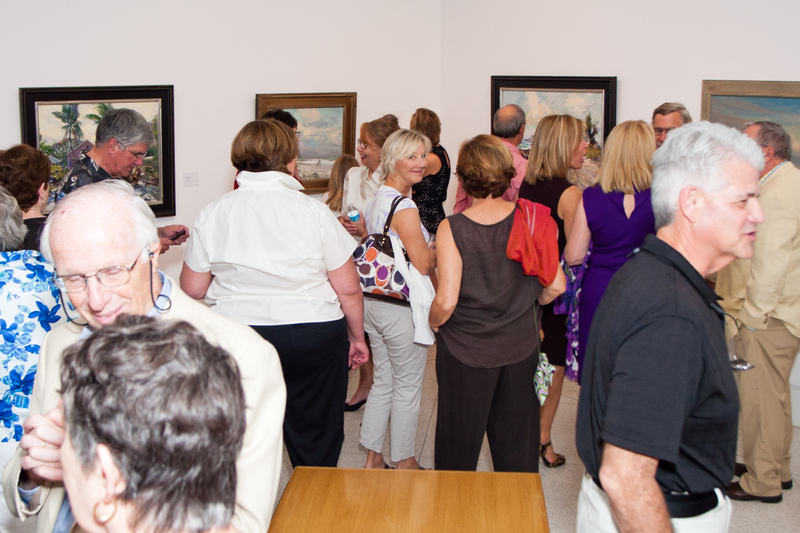 See more photos from opening night and follow the Naples Art Association on Facebook here.